This apartment has external corridors that you use to access the rooms from an outdoor enclosed walkway. It is on the very right as you face the front of the building and is the most economical as it is adjacent to the driveway. This is a ground floor apartment with full kitchen - large fridge, dishwasher, gas cooker, electric oven, microwave, kettle and toaster. The apartment has one queen bed, two single beds and one sofa bed. The sofa bed will be prepared for booking of 5 guests. Standard pricing is based on 2 guests with an additional $15 for extra occupants so that we are able to pass on savings to smaller groups. The laundry room with washing machines (only) is in another building. There is a clothesline, iron and ironing board. These amenities are shared. The apartment is very sunny and bright as it catches the afternoon sun. Please be aware that all rooms are accessed from the kitchen down an external enclosed corridor. Some guests love this quirky feature and some would prefer the more traditional layout found in apartment #1 or apartment #4. The queen and twin bedrooms are a good size and suits couples, families with a little bit older children, perhaps 8+ and families or friends travelling together. This apartment is one of 2 that has an internal configuration. The rest of the apartments have external corridors that you use to access the rooms from an outdoor enclosed walkway. This is a ground floor apartment with full kitchen - large fridge, dishwasher, gas cooker, electric oven, microwave, kettle and toaster. The apartment has one queen bed, two single beds and one sofa bed. The sofa bed will be prepared for booking of 5 guests. Standard pricing is based on 2 guests with an additional $15 for extra occupants so that we are able to pass on savings to smaller groups. The laundry room with washing machines (only) is in another building. There is a clothesline, iron and ironing board. These amenities are shared. This is a very private apartment that catches the morning sun. It is not as sunny in the afternoon so if you would like a really bright apartment, a better option would be #3 on the ground floor or #4,#5 or #6 upstairs. The twin bedroom is quite "cozy" with the beds against the wall. It is also close to the queen bedroom so we recommend this apartment for couples or families with very young children. This apartment has external corridors that you use to access the rooms. This enclosed walkway joins the open plan living, dining and kitchen to the bedrooms and bathroom. This is a ground floor apartment with full kitchen - large fridge, dishwasher, gas cooker, electric oven, microwave, kettle and toaster. The laundry room with washing machines (only) is in another building. There is a clothesline, iron and ironing board. These amenities are shared. The shared BBQ is close to this apartment so there may be periodic activity near the back of the apartment. This apartment is not as sunny in the afternoon as it is in the middle on the ground floor. If you would like a really bright apartment, a better option would be #3 on the ground floor or #4, #5 or #6 upstairs. The rooms in this apartment are quite private from one another so this apartment is best suited to a little bit older children, groups of friends or families travelling together. This apartment is one of 2 that has an internal configuration. The rest of the apartments have external corridors that you use to access the rooms from an outdoor enclosed walkway. This is an upstairs apartment with full kitchen - large fridge, dishwasher, gas cooker, electric oven, microwave, kettle and toaster. The apartment has one queen bed, two single beds and one sofa bed. The sofa bed will be prepared for booking of 5 guests. Standard pricing is based on 2 guests with an additional $15 for extra occupants so that we are able to pass on savings to smaller groups. The laundry room with washing machines (only) is in another building. There is a clothesline, iron and ironing board. These amenities are shared. This is a very private apartment that catches the morning sun. There is not as much privacy from one room to the next as other apartments so for families with older children or friends travelling together a better option would be #2 or #3 on the ground floor or #5 or #6 upstairs. The twin bedroom is quite "cozy" with the beds against the wall. Being close to the queen bedroom we recommend this apartment for couples or families with very young children that you may have to listen for in the night. This apartment has external corridors that you use to access the rooms from an outdoor enclosed walkway. It is upstairs on the very right as you face the front of the building and is the only apartment with 5 beds. This is an upstairs apartment with full kitchen - large fridge, dishwasher, gas cooker, electric oven, microwave, kettle and toaster. The laundry room with washing machines (only) is in another building. There is a clothesline, iron and ironing board. These amenities are shared. The apartment is very sunny and bright as it catches the afternoon sun. Please be aware that all rooms are accessed from the kitchen down an external enclosed corridor. Some guests love this quirky feature and some would prefer the more traditional layout found in apartment #1 or apartment #4. The queen and both twin bedrooms are a good size and suits couples, families with a little bit older children, perhaps 8+ and families or friends travelling together. This apartment has external corridors that you use to access the rooms. This enclosed walkway joins the open plan living, dining and kitchen to the bedrooms and bath. The rooms in this apartment are quite private from one another so this apartment is best suited to a little bit older children, groups of friends or families travelling together. This apartment has external corridors that you use to access the rooms. This enclosed walkway joins the open plan living, dining and kitchen to the bedrooms and bath. Some guests love this quirky feature and some would prefer the more traditional layout found in apartment #1 or apartment #4. This is an upstairs apartment with no lift access. There is a full kitchen - large fridge, dishwasher, gas cooker, electric oven, microwave, kettle and toaster. The laundry room with washing machines (only) is in another building. There is a clothesline, iron and ironing board. These amenities are shared. This is the largest apartment in the building. It is situated in the middle on the upper floor. There is plenty of natural light from the french doors at the front and the kitchen window. For apartments that are shadier and cooler a better option would be #1 or #2 on the ground floor. The twin bedroom is a little bit smaller than the other bedrooms but has a cute little private balcony. The queen bedrooms are a good size and suits couples, families with a little bit older children, perhaps 8+ and families or friends travelling together. 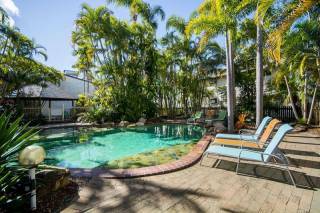 This 1920's vintage Queenslander has had a colourful past. To the best of our knowledge, it started as a convalescent home for soldiers. In later years, it was a boarding house, a retirement home and a house of "ill repute". In the 1960's it was split into 6 apartments and became a popular holiday-maker haven. We acquired the building in 2012 and updated kitchens and bathrooms leaving the rest as original as possible. Guests are continually charmed by this quirky and unique old building. Guests have access to kayaks with life vests. The beach is a short walk across the road. Beach is lovely, waters are generally calm and views are great. There is a shady 14km bike path running along the waterfront. This is a popular walking area for both visitors and locals to enjoy the views on the way to the iconic Urangan Pier. There are free gym stations along the path for public use. In the front garden, there is a shared outdoor shower on the street side of the staircase and another at the back of the building. There is a public cold water shower across the road and a free covered BBQ area with public bathrooms. There are picnic benches there with Fraser Island views. Sunsets in the winter are spectacular from here. Our guests receive a discount on tours with several Whale Watch Companies from late July to late October, on visits to Lady Elliot Island and with Fraser Explorer Tours. Maximum number of guests includes infants. Bedding for infants is not provided. If you require a bed for an infant up to 2 years old please list as a child in the booking. Please be sure to advise if there are infants in your group and note that you will be bringing your own port-a-cot. Suitable for infants (under 2 years) Port-a-cot and all baby gear to be supplied by the guest. Charges apply if not supplying your own infant bed. Guests must present government issued ID on check in. Third party bookings are not accepted. Strictly for private, residential use only. Business engaging the public, functions or parties are not be conducted at the property under any circumstances. Strictly a no party property. Infants under 2 staying free must have all bedding and towels provided by the guest. There is an additional charge of $15 per night if extra bedding is used for infants. If you require a bed for the infant / toddler please enter them on your booking request as a child in order to use one of the beds provided. All infants 2 and under who stay free are not provided with a highchair, cot or bed. There is a maximum of one free infant per apartment. All children are to be supervised by a parent or adult while using any of our complimentary recreational gear. Strictly no playing in the driveway. Only registered guests are permitted on the property without prior authorisation. Please contact us if you wish to make arrangements to host guests who are not registered to stay at the property. As an alternative there is a lovely covered picnic area on the beach across the road with public facilities that guests may enjoy. If you would like to bring additional guests please advise us 24 hours prior to arrival so that we are able to place extra towels in the apartments. The charge for extra occupants is $15 per person per night. This helps to offset our extra linen, towel and cleaning costs. We have adopted this practice to be able to pass on savings to our guests when fewer occupants are in the apartments. Thank you for your understanding. Exceeding the number of guests stated on your Booking Confirmation without consent will result in a fee of $25 per person per night in order to organise last minute amenities for unannounced guests. The maximum occupancy number for Apartment 3 is 5 guests including infants and children within that total. The sofa bed will only be made up for bookings of 5 guests unless alternate arrangements are made. Exceeding the maximum number of 5 guests and any behaviour that compromises the safety or quiet enjoyment of neighbouring apartments will result in the termination of your booking without refund. We would ask that noise levels in the evening after 8 pm and until 8 am are reasonable in respect of your neighbours and they in turn are expected to ensure you also have peaceful enjoyment of the property. Please notify us in the event that you are being disturbed. The apartment must be left in a neat and tidy state in order to avoid excess cleaning charges. This includes wiping up big spills inside the appliances and on the outdoor BBQ. Excess cleaning of the apartment requiring an additional 30 minutes or more will incur an additional fee at a rate of $25 per hour. All dishes are to be run through the dishwasher. We provide dishwashing tablets for use during your stay. In consideration of all guests we request that the dishes and cooking implements be left sanitised by the machine. Please ensure all dishes and cookware are put away prior to departure. If you have a very early departure, please let us know. We would request that the dishwasher be put on prior to vacating. We will notify the housekeepers of your early departure and arrange for them to allow time to put away the dishes. All rubbish must be placed in the bins prior to departure. We expect that any garbage or food on the floor, furnishings and on any surfaces will be collected and disposed of appropriately. This includes your private outdoor area. Please be aware that many of today's skin treatment and sunscreen products can leave indelible marks on the linens and towels. Please exercise care when using these products as linens and towels marked by these solutions must be discarded. Replacement cost for linens lost due to carelessness with skin treatment or sun products will be collected from the security deposit. We request that you report any damage, breakage or maintenance issues immediately so that we can promptly rectify the situation. For items that require replacing we would stipulate that it is necessary to discuss this prior to your departure. Refunds will not be issued in the event that we are not contacted to rectify any issues that may arise. There is an outdoor cold water shower directly across the road at the beach, one outdoor cold water shower in the front garden and a second cold water outdoor shower at the back of the apartments . We would appreciate your cooperation in rinsing off excess sand prior to entering the apartments on return from the beach. This keeps the sand build up inside the apartment to a minimum during your stay. Moving furniture inside the apartments is not permitted. If you would like the single beds pushed together or other furniture moved to accommodate mobility difficulties, please let us know and we will let you know if it is possible to organise this for you. To access the ground floor apartment, you have your own back door. The floor is level except one step up to the shower. Because of the age of the building and narrow corridors, the space not conducive to easy access for a wheelchair. We have no measures in place to cater for special needs, however, we have hosted guests with mobility difficulties who were happy with their stay. Strictly no pets. We do have references for some lovely doggy daycare centres if this is of interest to you. Any pets found at Five 3 Five will result in a termination of your booking without refund and additional charges for all sanitising treatments required. We are very mindful of our guests who may have animal or dust allergies and wish to keep our promise of a dander free accommodation. Strictly no smoking inside the apartments. A $250 penalty applies. We do provide an ashtray and there is covered seating outside in the front garden where you are welcome to smoke if other guests are not in the vicinity. As an alternative, there are picnic tables across the road with lovely views to Fraser Island. Check-out is at 10 am. Please feel welcome to leave at your leisure any time before 10 am. You will need the remote to exit the security gate. Place the key in the mailbox near the pedestrian gate. If you are leaving one hour or more prior to 10am please send a quick sms and we will notify housekeeping. These Terms and Conditions are in place to ensure that all of our guests have a peaceful and relaxing stay. We trust everyone to be considerate of all other guests especially children holidaying at Five 3 Five. We hope that all our visitors feel comfortable and able to enjoy a wonderful stay. We would also extend an invitation to you to let us know of any special requests you may have or if there is anything we can do to make your visit more enjoyable. By bus: You will arrive at Centro, which is the main bus terminal. Taxi fare (131008) from the terminal is about $20-$25. By train: You will arrive in Maryborough about 40 km away and there is a train link bus that takes you to the main Centro bus terminal in Hervey Bay. Please refer to their website. By air: You will arrive at the Hervey Bay terminal. There is a shuttle service (0407 725 508) that will drop you at the door or taxi fare (131 008). Limousine Service (07 4124 5855). 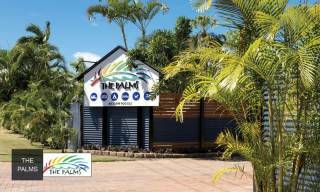 By car: You will arrive in Hervey Bay on Boat Harbour Drive. We recommend that you take a left at the first round-a-bout just past the Stocklands Shopping Center (McDonalds, Target, Dan Murphy). Head all the way down to the Whale Tail on the waterfront and turn right. You will pass through the boroughs of Pialba, Scarness, Torquay and then come to Urangan. 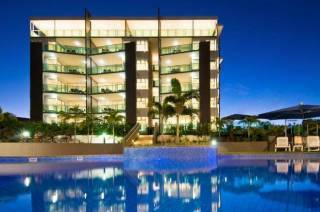 The address is 535 The Esplanade, Urangan. Closest cross street is Churchill. Closest major road is Elizabeth St.